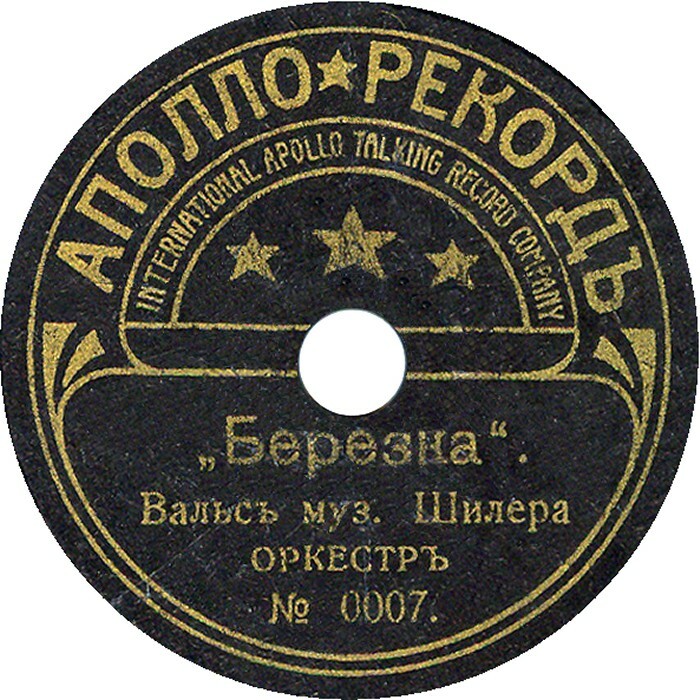 Warsaw’s branch of gramophone company «Syrena Record», created in 1914 by Mr.Tempel, one of the brothers from well-known “Tempel’s gramophone dynasty”. 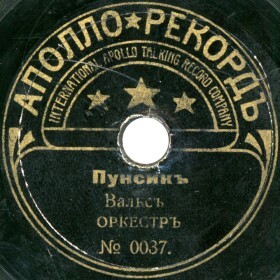 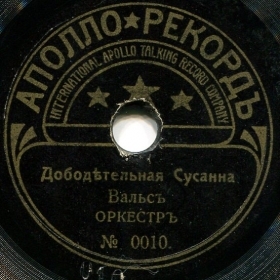 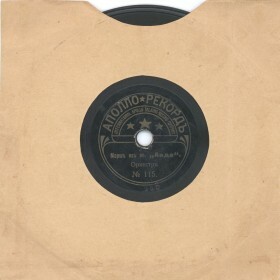 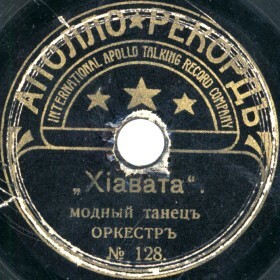 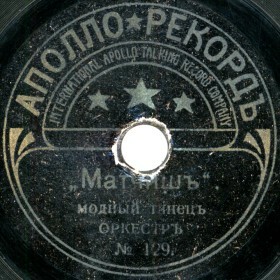 There were at least two sizes of «Apollo-Record» discs: 5 and 10 inches (according to A.I Zhelezny also 7 inch, but such records were not yet met) though they used the same sizes of labels. 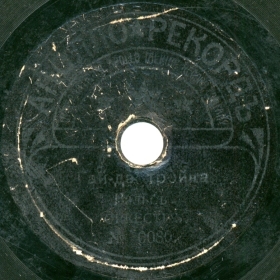 The records characterized by more dense grooves made by very thin sapphire needle. 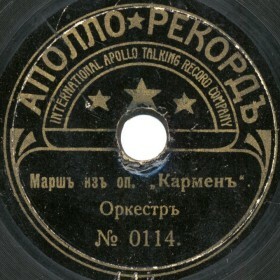 The price varied from 8 to 12 kopecks per record. 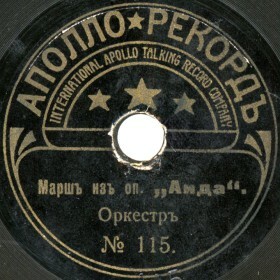 The branch located on Marshalkovskaya, 153 in Warsaw.